We write native apps... We do hybrid mobile apps… And if our client is not sure what type of app is best for them, we help them develop their architecture. STA also provides mobile strategy and design. If your plan doesn’t start with mobile, you don’t have a plan. Mobile technology and Internet technology are converging. The combined Mobile Internet is projected to add upwards of 10.8TR dollars of consumer surplus annually by 2025, and if you include the closely related technologies of Cloud and IoT, that figure more than doubles to 23.2TR. Digital technology is exploding and imploding simultaneously; exploding in complexity and imploding in physical volume. The Mobile Internet is driven principally by these two technological imperatives. The client-side x86 architecture found on laptops and desktops is being rapidly displaced by a more nimble and less power-hungry mobile ARM architecture. With 240 million mobile users in the United States alone, the Mobile Internet is now the primary channel for application delivery and content consumption. STA Mobile delivers value through a combination of superior engineering and intuitive design. As digital technology becomes ever more complex, the need for intuitive design becomes ever more important. The design and UX teams at STA use recognizable design metaphors, intuitive program flow, and redundant UX cues. This approach conforms to users’ preferences, rather than to those of the software’s engineers. STA can help in all aspects of the mobile arena; from targeted mobile application construction to conceiving a full Mobile Solutions Delivery strategy coupling your business need to a targeted solution fully maximizing the power of the mobile channel. STA has a team of mobile software engineers each with over a decade of experience in the mobile solutions space whose business solutions are used by millions of customers every day. 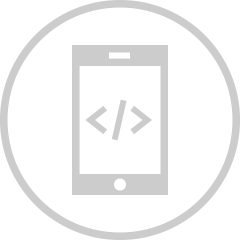 Our Mobile App Consultants and Architects have helped many companies roll out robust mobile apps across diverse platforms. We help our clients position their brands with mobile-savvy customers, capture market share, and scale for future growth. To achieve unmatched levels of value, STA focuses on sound principles of software engineering and a proprietary process to coordinate activities among team members, contain costs, and deliver the highest quality product. Our team has created proven, real world business solutions leveraging Location-based Services/GeoFencing, Mobile Security, IoT Integration and Mobile Alerts/Notification aspects. We have experience when it comes to creating Native and Hybrid Applications, integration with the Enterprise backend and Good Dynamics. We have experience working with all the major app stores, internal enterprise app stores as well as code signing and various application distribution complexities (e.g. ad hoc, and enterprise). STA can assist at any level, be it mentoring a team new to mobile, assessing a MEAP (Mobile Enterprise Application Platform), taking on a full product solution need or helping a business create a comprehensive mobile strategy.